Central Security Life Insurance Company is a subsidiary of Maximum Corporation. Although the company is licensed to write insurance in Texas, it mostly acquires life insurance companies and purchases parts of insurance companies. Central Security Life Insurance Company was established in 1955. The company currently has 50,900 policies in force. Central Security Life Insurance Company issues life insurance policies. The company also operates as a third party administrator for managing policies and administering the policies. When Central Security Life Insurance Company acquires an insurance company or a portion of it, CSLIC will only take the health insurance part if it is part of the deal for the life or annuity insurance company. For example, in 1993, CSLIC acquired Mutual Security Life Insurance Company of Fort Wayne, Indiana. The accidental and health insurance portion of Mutual Security was transferred to CSLIC to manage and administer. The supplemental cancer policies were also taken over by CSLIC of which they are also managing and administering. Central Security Life Insurance Company agents can be located by contacting customer service at (972) 699-2770. Central Security Life Insurance provides customer service on their website, but especially in their FAQ section. The FAQ section is divided into three different sections depending on what the question involves. There is a Customer Service section, Life Insurance Claims section, and Agent Web section. Questions regarding payments are all covered under the Customer Service section. All forms necessary to make changes or file claims can be found under the Claims section on the company’s website. 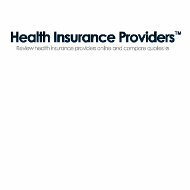 According to echealthinsurance.com, in 2008, CSLIC maintained over five hundred health insurance policies. There were no records of complaints within their complaint index. Central Security Life Insurance Careers can be found on their website under the Careers section. The company is a family owned business, which maintains long time employees who are dedicated to the company. Almost half of the employees have been with the company for over 15 years. The company offers a full benefit package. The package includes life insurance, health insurance including medical, vision, and disability insurance. Bonuses and paid holidays and tickets to the Dallas Mavericks and the Dallas Symphony Orchestra are all included if you work for CSLIC. Employees work a 38.5-hour workweek and half days on Fridays. Job postings are available under this section for perspective employees to consider. Should you have any questions regarding positions, you can contact human resources at (972) 699-2770. A map and directions are also located on the website under the Locate Us section.